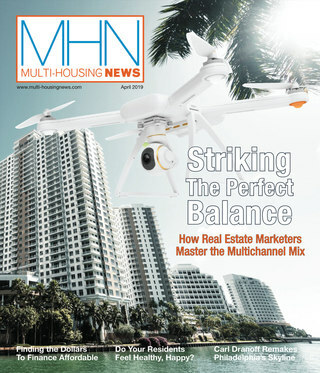 Multifamily financing is expected to set a new record this year. Lending activity in the multifamily sector peaked in 2007. Industry insiders are predicting that this record will be broken in 2015 with multifamily financing exceeding the lending volume achieved in 2007. The Mortgage Bankers Association (MBA) forecasts that originations for the sector will be $173 billion by the end of the year, surpassing the $148 billion volume reached in 2007. The higher mortgage bankers originations volume in 2015, for both commercial and multifamily property, will be driven by improving commercial property markets, fundamentals and asset values in 2015, says Jamie Woodwell, MBA vice president, Research and Economics. Additionally, after a trough in the past few years, the wave of mortgage bankers’ loan maturities—projected to shoot up by 72 percent in 2015—is scheduled to begin this year and will provide additional opportunities for lenders. There continues to be very strong lender appetite to place capital into commercial real estate, says Woodwell. The reason is that commercial mortgages have performed very well through the recession in comparison with other investment opportunities on a risk-adjusted basis. Most major investor groups are expected to have a higher debt originations volume in 2015 compared to ’04, according to MBA’s forecast. Much of the increased financing volume for multifamily may not come from the two dominant financiers of the multifamily space, Fannie Mae and Freddie Mac, however, due to limits imposed on these agencies’ lending activities. The Federal Housing Finance Agency (FHFA), which oversees the two Government-Sponsored Enterprises (GSEs), had dictated a 10 percent reduction in footprint in 2013 though it did not issue a similar directive for a further 10 percent reduction in 2014. The good news is that lenders think that FHFA is likely to maintain the same cap on agency lending in 2015. Woodwell forecasts a strong year for Fannie Mae and Freddie Mac as the hot multifamily market, loan maturities and robust rent levels carry forward “the momentum” from year-end 2014. Originations by the agencies fell to well below the 10 percent limit in 2013 and into the beginning of 2014, said Woodwell. However, in the second half of 2014, Fannie/Freddie production volume increased considerably, and volume in 2014 will likely be back up closer to the 10 percent cap, he says. Freddie Mac Program Plus lender NorthMarq Capital is bullish on business opportunities for 2015, although agency lenders’ activities may be restrained by the cap placed on the agencies’ capacity. NorthMarq expects to execute about the same amount of Freddie Mac financing in 2015 as in 2014—about $2 billion, says Paul Cairns, senior vice president, managing director. Certainly, the cap on Freddie Mac financing plays a part in putting an upper limit on individual lenders’ agency volume, he says. Freddie Mac had a “soft cap” of a little under $26 billion on the loans it purchased in 2014, reports Cairns. Cairns expects the agency to operate under roughly the same lids on financing this year. “It is anticipated that Freddie Mac will finance close to the cap in both 2014 and ,” he says. The low interest-rate environment and wave of maturing loans that will hit beginning in 2015 will also generate volume for NorthMarq and other financiers. “With rates being so low, many borrowers are seeking refinancing,” says Cairns. “There will be a really high level of maturity for multifamily,” agrees Cairns. He notes that many of those loans have already started refinancing a year out. Fannie Mae DUS lender Hunt Mortgage Group expects to expand its operations this year, says Managing Director Vic Clark. The company is adding new offices and staff to increase its market capability. Consequently, the company aims to expand its production from over $1 billion last year to as much as $1.5 billion by year end. Fannie Mae is not expecting any reductions in multifamily financing volume this year, says Clark. He reports that the agency, which operates under FHFA’s scorecard limit of $30 billion, says it is expecting to complete about $28 billion in multifamily financing in 2014. And it would “love to hit that number again in 2015.” In any case, Fannie Mae is budgeting $27 billion to $30 billion in financing this year, maintaining a similar level of financing as last year. If anything, Fannie Mae will be maintaining its aggressive stance in the marketplace, argues Clark. Like Freddie Mac, it now provides fixed-rate long-term financing for pre-stabilized new construction or renovation projects. The introduction of that program shows “their aggressiveness and willingness to get out and win higher quality product,” Clark points out. Borrowers are also getting ready for another active year. American Realty Advisors “expects there to be significant capital available for multifamily housing [in 2015] directed to both core and value-added projects,” says Kirk Helgeson, executive vice president and managing director, Investments. One consequence of the robust supply of capital is that more apartment investors may be exploring selling more of their properties this year. 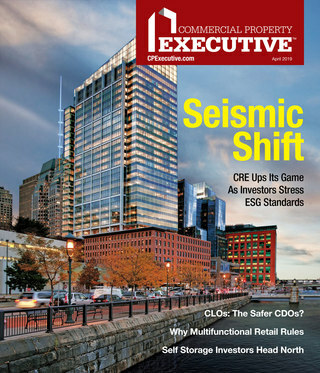 “[A]s an owner of multifamily properties, we also see this as an excellent environment to adjust portfolios by being an active seller and will execute dispositions selectively in 2015 and beyond,” explains Helgeson. He expects a continued low interest-rate environment, which would drive transactions this year.